The Huawei P20 has just been introduced, and from what we can gauge from our site and social media, it seems to be charming a lot of people. This isn’t surprising, since the smartphone introduces some interesting features, starting with the triple camera. The brand's new flagship seems to have succumbed to copying the iPhone again. This is a risky gamble but could work well, especially on an international scale. Could the Huawei P20 compete with the Samsung Galaxy S9? If you’ve had the opportunity to visit electronics stores in parts of Asia, you’ve definitely seen many iPhone imitations running Android. A few weeks after the release of a new Apple device, it’s usually quite common to find an iPhone copy on the black market, running Android Nougat or Oreo. The flagship from Shenzhen seems to have given up on imposing its own style. Unfortunately, many manufacturers are now choosing this approach. The Asus Zenfone 5Z and 5, the Wiko View 2 and 2 Pro, the Ulefone T2 Pro, the Huawei P20 and the upcoming OnePlus 6 all have something in common with the iPhone X: the presence of a notch at the top of the screen. 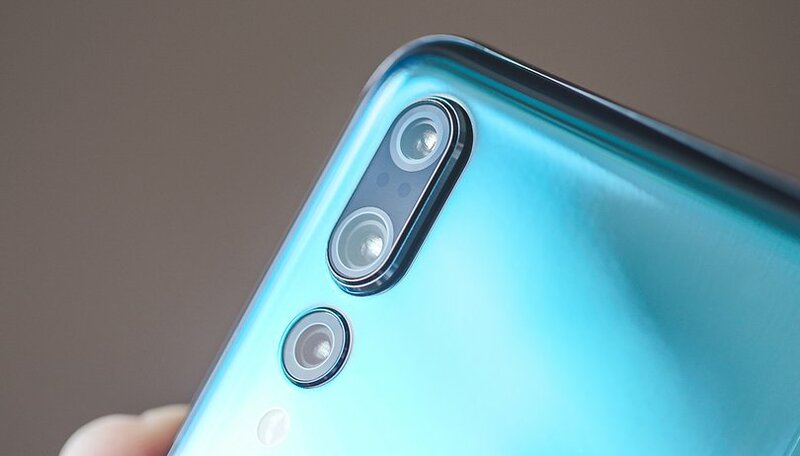 With the P20 Pro, Huawei has attempted to clone the iPhone. The brand even copied the arrangement of the camera sensors on the backside. This may make sense in terms of business, but the Chinese manufacturer has unfortunately given in to the latest trend. Huawei has given up on its own style forging its own identity, unlike Samsung and Sony, which is necessary in order for a brand to progress in the long-term. But judgment shouldn’t fall so quickly on the company’s leaders, who in just a few years have managed to put the brand in third place among smartphone manufacturers. Better yet, the P20 Pro could simply be the manufacturer’s perfect attempt to convince someone to buy a Huawei device. Up until now, Huawei has always prided itself on offering devices for very good value for money. The camera designs are often not very original, but the brand has gradually managed to differentiate itself by taking risks with the camera or with artificial intelligence, without forgetting to work to improve its software interface and reduce the number of preinstalled applications. All in all, Huawei has so far made good decisions as a manufacturer. This strategy hasn’t worked to the extent that the brand has been able to conquer the United States, a market that is necessary in order to dethrone Apple and Samsung. Huawei only has a discrete presence there, and has been met with mixed results. Not long ago, the manufacturer suffered some setbacks in the states: Best Buy no longer wants to market Huawei phones. The Huawei Pro 10 is a copy of the iPhone X but it will be successful. It is extremely difficult to infiltrate the American market without a very strong reputation. If a more original design stands out, it also constitutes a significant risk. In the event that the public becomes disenchanted, failure is assured. Huawei has therefore preferred playing it safe by offering a device with a familiar design that can appeal to the majority of users, including American customers. Finally, despite the rise in its price, the Huawei P20 Pro is still a cheaper device than its main competitors: the Galaxy S9+ and the iPhone X. Its new top-range model, the P20 Pro, is being sold for 899 euros (around $1,115). For American Huawei fans, it's likely not going to be easy to get a hold of one if US Government hostility to Huawei blocks the P20 Pro from being sold in the country. In that case, the cost of import could add even more dollars. This price is somewhere more attractive and is justified by the stylistic choices the brand has made. In the end, it’s a cheaper iPhone, with all the freedom of Android. For some, it’s a guarantee of quality. Let’s just hope that in the next few years Huawei will be more stylistically daring. What do you think of the P20 Pro? Has Huawei made the wrong decision, or was it a stroke of genius? Let us know in the comments!